As 2010 closes, I thought it was important to post a recap of what this site has become. Back on July 26th, I posted my first thoughts about this site and what my intentions were. I wanted to provide a place for Coaches of Inline Hockey to find easy to use drills and provide some of their own. In all honesty, I never thought it would have the success it has. There are currently 58 drills and articles on the site. Many have been provided by you, the reader. In just 5 months, I've experienced over 3,240 page views, averaging about 650 per month the last three months. 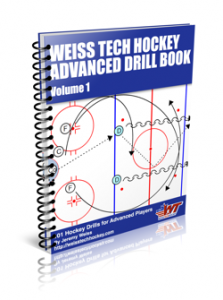 As we go forward, I'll continue to provide the same types of drills as well as some articles on how to coach 'situations' in hockey. I'm hoping to provide some product reviews and am even working on some contests around Drill Submission. As you visit this site, feel free to provide feedback. I want to know what you the viewer wants. - Do the drills provide the details you need? - Would you like a way to download the dirlls? - What else could I provide that you would read? Looking forward to a fun 2011 for the site. Thanks again to all my readers and fellow coaches.